The Sweet2 Condotel Pratumnak Hill is in a central location and yet inexpensive. 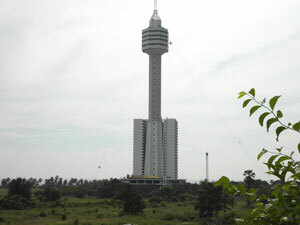 These Condominiums are in walking distance of the Pattaya Waterpark and Dongtan Beach. When living at Sweet 2 transportation to Pattaya and Jomtien is very easy and cheap. Catch a baht bus on Thappraya Road to Jomtien or Pattaya for 10 baht. This transportation system has to be the cheapest and most convenient in the world. The baht buses go day and night and you never wait longer than 5 minutes. Sweet 2 Condotel is also close to Big Buddha Hill and PEACH and this whole area is great for walks, bike rides or just to enjoy the park like areas up on the hill. Click here for a Google Map and the location of Sweet 2 Condotel in Jomtien. Opens in a new window. 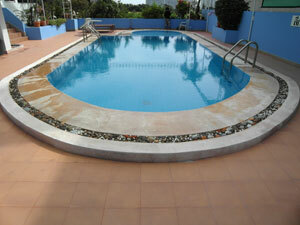 Swimming pool, launndry service, 24 hour security, covered parking.